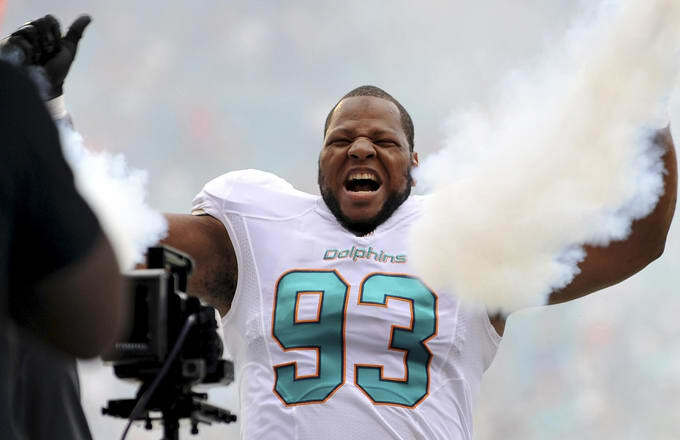 Ndamukong Suh, the star defensive tackle for the Miami Dolphins, is making news headlines once again and it&apos;s not for kicking or stomping another player. Suh, who has a well-documented relationship with business mogul, Warren Buffet, and who once donated $2.6 million to his alma mater, the University of Nebraska, will be opening a Nike Store in his old stomping grounds. In a report from the Journal Star, Suh - through his company TFL Development LLC, has come to an agreement with University of Nebraska officials to buy a 17,000-19,000 space - one formerly occupied by the school&apos;s bookstore, in Lincoln for a reported $1.25 million. While many Cornhusker fans and Nike devotees will find this news to be quite exciting, adidas, the school&apos;s current sponsor, can&apos;t be too thrilled. But, according to University Chancellor Harvey Perlman, adidas is aware of the move and are "OK with it." For further details on the deal, head over to the Journal Star now.